Can I use this paper souffle cup for baking? This paper souffle cup is not recommended for baking applications. This Genpak Harvest W400F 4 oz. 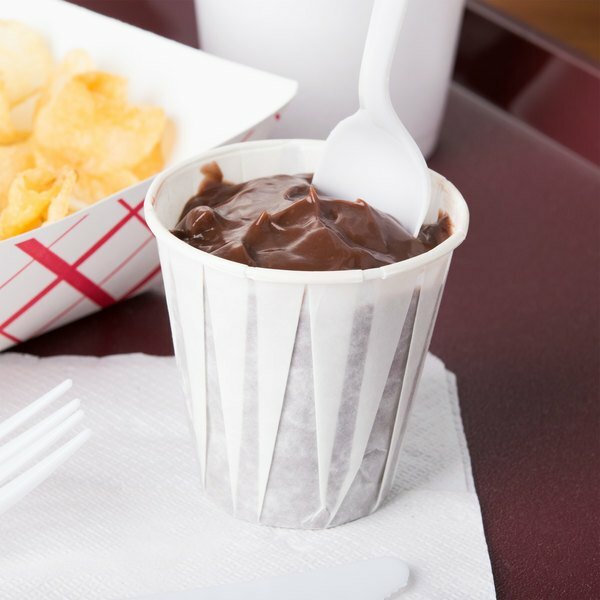 paper souffle / drinking cup is perfect for serving water, samples, and snacks! 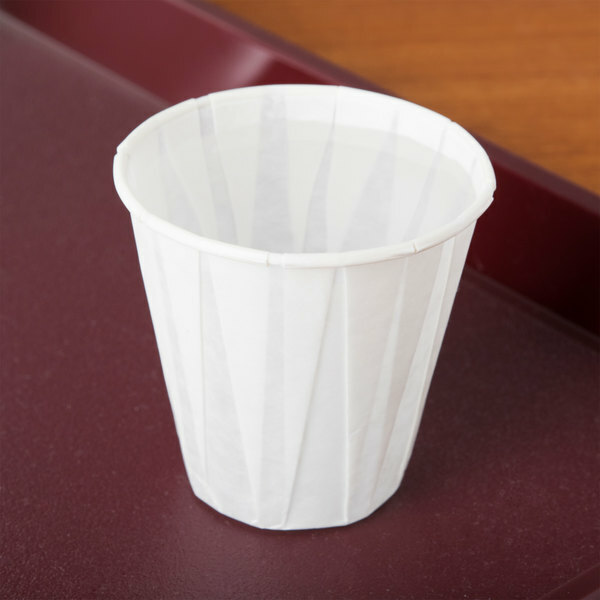 Whether you are providing your employees with beverages in the break room or serving snacks to your patrons, this white paper cup is the perfect size for every need. 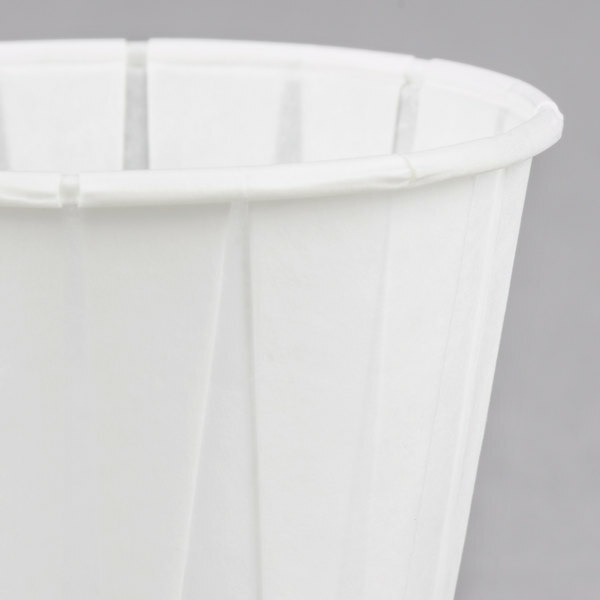 With an attractive pleated design and a concave bottom, you can be confident in this cup's simple, yet functional design. The rolled rim also provides strength and durability for worry-free serving and drinking. Plus, it's even made of compostable paper so you can feel good about your impact on the environment. Lightweight and biodegradable, the materials used to create this cup are sourced from forests that follow Sustainable Forestry Practices. 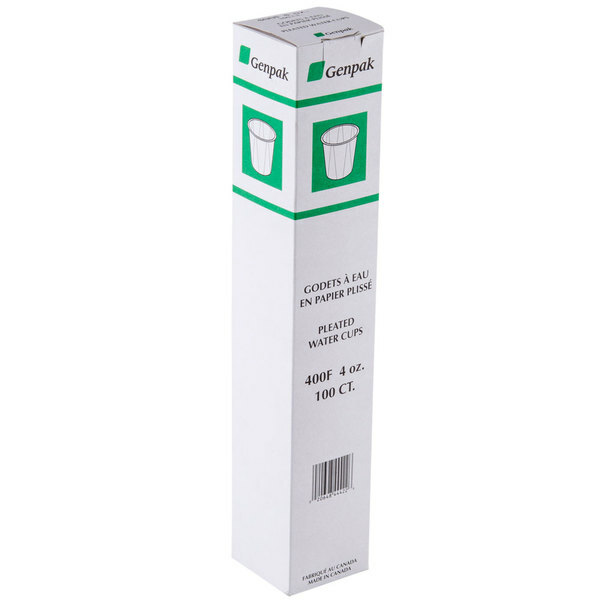 For added convenience, this cup is disposable for quick and easy cleanup! These cups are good. You need to use two cups per Italian ice or it could potentially get through but I think that's pretty typical for Italian ices and squeeze cups like this. Portable, great value cups to use for free samples in the store. You can serve cold beverages or warm soup. Just avoid hot liquids, as the cup will fold in. Needed some cheap, disposable cups for an event coming up and these were perfect. Great for serving up little drinks, without worry about wasting too much. 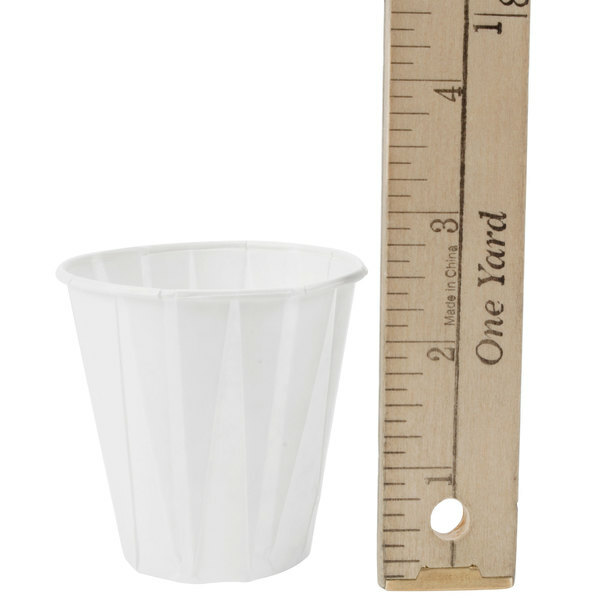 Great little drinking cups at a very economical price! These are perfect for quick little drinks at a cafe or coffee shop, where you just need a little sip of water for your guests. I like to keep these 4 ounce drinking cups next to our water cooler in our staff lounge, they are just the right size for a quick drink. These are the perfect disposables for serving Italian Ice at our Seasonal Car themed Hot Dog joint. The price is great, better than any of the local restaurant supply places. We used snow cones during summer. This is the perfect size for our needs. The paper itself stand up very well. Great for kids' parties. And this is priced very well. 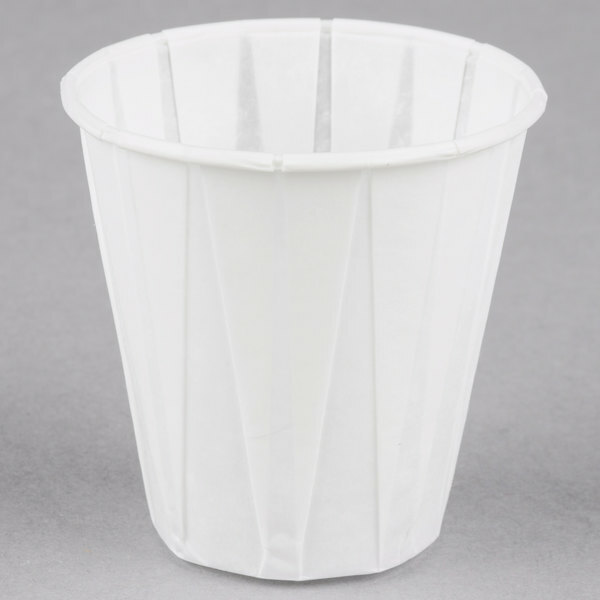 These cups can be used for more than just water cups, they are perfect for use at social events for sampling of, for example, apple cider or tea as we use them for.